[Giveaway/Contest] for 5 licenses of ReHIPS. Discussion in 'Giveaways and Contests' started by sid_16, Mar 27, 2018. Do you find ReHIPS useful on your computer? Poll closed Apr 26, 2018. Yes, its very useful security software! I can't tell until I use it! First I would like to thank Mr Vasily Bukasov & others at ReHIPS for sponsoring "5" numbers of free 1 year licenses of ReHIPS for our awesome members. Secondly a big thanks to Tarekma7 for writing a professional review of ReHIPS HERE . The Giveaway of ReHIPS starts on 29th. March and ends on 30th.April 2018. Professionals must know that some of the isolated running processes carry a high risk of damage to your computer. Also, the sandbox technology is now very important to protect you against many threats. completely restrict network access, restrict child processes creation, and even block execution of the process itself. You can run any suspicious file or process on a separate desktop for better security. The program will keep you safe and secure against many online threats, ransomware and cryptolockers. 1-To make a valid entry every participant must comment on "why do you need a free license of ReHIPS ? or write something about ReHIPS ". 2- Only one entry allowed per household. 3- You must use your real IP address to enter the giveaway. 4- If you're a winner and you don't respond to your private message within 4 days then someone else will be selected. 5- You only need to post once. 6- If you don't want to enter the competition then don't post in this thread. The winners are required to download and install ReHIPS in their computer and after the successful installation it will generate a "HWID" then copy the HWID and reply me with their valid Email ID so that the developer at ReHIPS can generate the license key to that specified HWID and sent to the specified email. This giveaway starts on the 29th.March 2018 and will end on 30th April 2018. Winners will be randomly selected using RANDOM.ORG on the 30th April 2018 (all time is GMT+5.30). The Giveaway of ReHIPS is live now! Rehips inside of your system for harden the Windows weaknesses, Rehips has severals functions as a sandbox & a behavior blocker builded on hips with intelligent technics to combat against malicious code from the programs & scripts, that try to accessing into kernel injecting hooks to infecting the system, no more sensitive areas will be violated with Rehips protecting your system where the antivirus can't do it. One of the most important security layers for the Windows enthusiast will be Rehips, believe me, Currently Rehips is the shield of the future, preventing that applications without consent from gaining the elevated privileges of the administrator or putting things where dont be allowed. For that reason I want to win this competition. More and more security conscious these days. I'd appreciate winning a licence for this soft. Tranquility is my online aim. I need ReHIPS because I know AVs can be fooled by the advanced attacker. I also like when I understand what something is doing. I understand the concept of protection by HIPS software and I want to use that. I really like that HIPS-based protection does not need to send anything to the cloud to work correctly. Id love ReHIPS, just to see any intrusions on my computer and where they originate from! i have always used anti-virus,but i think this,would cover all the network attacks and intrusions,that we all face every hour of every day,on the internet. I totally understand,why ReHIPS would be needed,something like TDS (Trojan Defense Suite)was 6 or 7 years ago,if ReHIPS is anything like TDS,then count me in,,,i lovee all that. i would love to win a ReHIPS. I like the extras that it does and would make me feel that my PC and network is protected from intrusions. I need ReHips because I have paid for legitimate AV protection programs like Norton (2006) and just recently Mcafee ( I can provide the proof of purchase if needed). Yet, someone still managed to put malware in my system while I brought it to class in my college. The McAfee service representatives could only advise me to upgrade the version to a pricier one and as a student, that was awful (how greedy can these AV corps get). I had to reinstall and learn how to use Hijack this, and that is challenging because I'm not that well versed in computer end user knowledge. Rehips seems to have that all addressed on its description with its internal tools and editors to work like Hijack this while at the same time providing up to date virus protection. I'm even prepared to read and learn about its more advanced features on the hopeful assumption that its the solution that I have always been looking for. ReHIPS is a free security tool based on the innovative Host Intrusion Prevention (HIPS) system.  ReHIPS protects your computer against malware and doesn't require frequent updates of the database and viruses. The basic task of the application is to monitor the activity of processes and applications. ReHIPS doesn't detect malware, instead it uses system-based access control mechanisms to ensure computer security and private user data. The program offers full integrity and stability of the Windows system. The operation of ReHIPS is based on the principle of running applications in an isolated, secure environment in which they receive separate permissions. Even when a program is trusted, the system is still fully protected. I like REHIPS because it doesn't require frequent updates and has a unique approach of using built in windows access control mechanisms for combating malware. Thanks for the giveaway!!! I need a free ReHIPS license to provide reliable protection and compatibility and it does not require updates, ReHIPS does not use kernel bindings, splicing and other unsafe rootkit techniques. It is based on Windows documentary security mechanisms that ensure the stability of the system. Looks like the ReHIPS make a good protection for my system! Utilities are always handy to have in addition to anti-virus, to keep your system stable. I have heard nothing but good things about ReHIPS, it would be a welcome addition to my security suite, thank you Sid for this contest, please count me in! Thanks a lot for the giveaway @sid_16 . ReHips is a very good antiexe application or a sandboxing one. It is not for any user so it needs a minimum knowledge about security & PC performance. I would like to win a key in order to test its full performane in real environment. with other security programs. Therefore it is a sandbox + application contol program with overall simplicity which is definitely worthy of my attention as using it to test applications with utmost computer's system integrity. ReHips is well know to be among the best in its category.If you need a fast system with effective defense against malwares, ReHips is ideal.The best thing is that it can be easily combined with an antivirus or a good firewall. Very little amounts of updates needed, the amount of bugs and instability is kept low. Thank you all for this great giveaway.